We have worked with many agents over the years, however, never with someone who genuinely cares as much as S.A. She was extremely professional and personable while navigating us through a potentially stressful time. She took the time to understand what we wanted, also making sure we stayed on track with our actual needs and budget. She sold our house very quickly as well found us a home. When she told us she had the perfect house for us, she delivered! We love it. If and when the need arises, we will be contacting her. She comes highly recommended. Thank you S.A!! Carla made me feel I had her full attention. She was patient enough to let me view a number of houses until I found the right one. She is always available and responds to my queries even on weekends. She acts fast yet did not make me feel rushed. Carla is very hard working and trustworthy. As a family we have enlisted her service twice before and plan to consult with her in the future. I highly recommend! Extremely professional, dedicated & eager to help! If you're looking for a real estate company for buying or selling properties, look no further! 5-star! Carla was great! My fiancé and I were first time home buyers when we came to Carla for help. She showed us properties in a very timely manner and was always giving great advice! When we eventually sell our house, we know who to call! � Thanks again Carla! Carla was excellent to work with. We tried house hunting on our own for quite a while but it was time consuming and a hassle setting up appointments. Carla made everything so much more simple. She very easy to communicate with and very easy to get along with. She encouraged us not to settle for anything less than we were looking for and we eventually ended up finding the place we were after. Definitely worth the call! Have been working with Carla for years. She is honest, knowledgeable, friendly and gets people into their homes. Clients are always very happy with the level of service they receive. 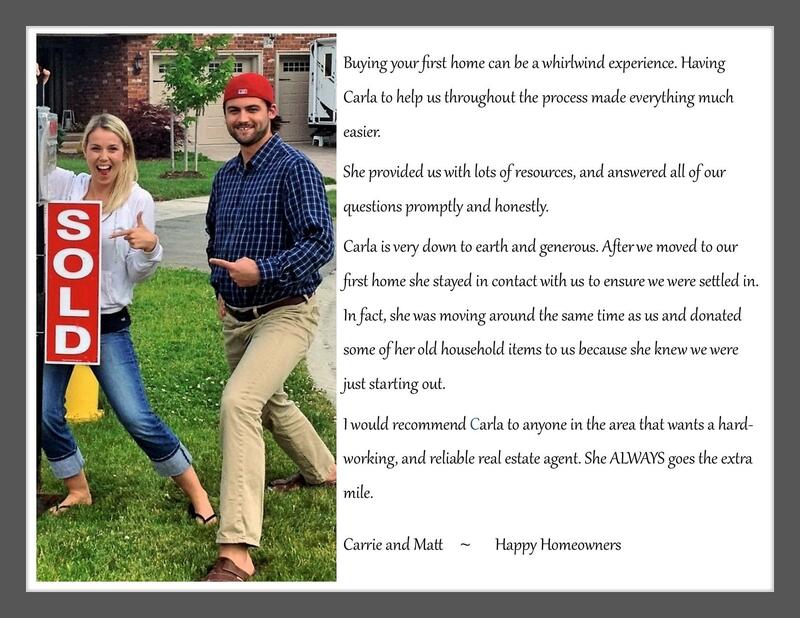 Carla is a dream for me to work with as client come prepared and ready with realistic timelines and next steps...I have and will continue to send me new buyers her way. Thank you for being part of my professional family! Before Carla was in Real Estate, she worked in palliative care. She was always honest, hard working, caring and compassionate. I can't think of better characteristics to look for in a Real Estate Agent. Carla is the real deal. I would be delighted to have her as my agent. 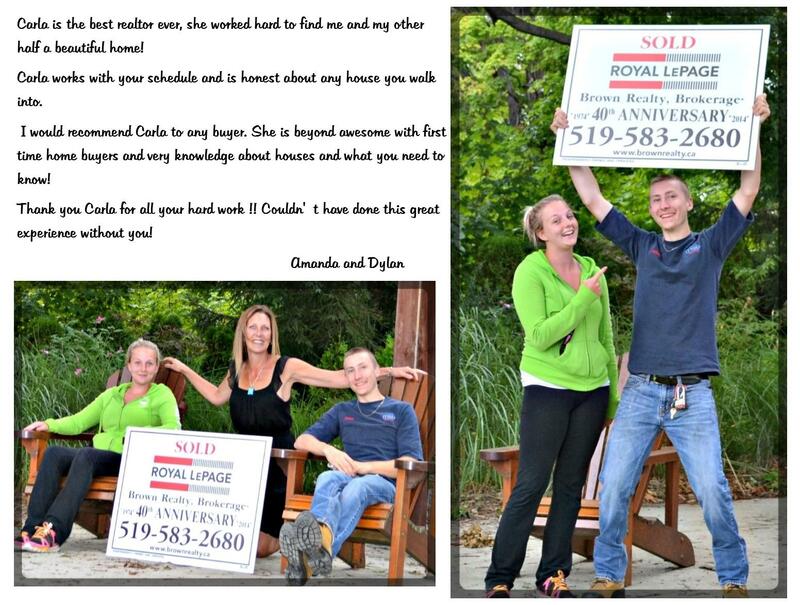 Carla was so awesome in helping us buy a home and sell a home in a short amount of time! She is hardworking and is always available to answer questions, and works around the clock. We recommend! Carla is such a kind and caring person that she will help anyone find the perfect property for them and their needs. If you need an agent with vast area knowledge and a truthful, honest approach to finding a home or selling a home. Carla Whilhelm has 20 plus years of Canadian experience behind her and her up to date current approach to staging a home puts her as the leading edge Real Eastae agent that you need to hire to get top dollar for your home. Her communication and winning personality makes finding a home a pure joy!